NEXUS® allows the engineer to evaluate and monitor the performance of the entire intersection design as changes are made. The key benefit to the user is the speed of generating the geometry and surface drainage in a single and efficient tool. 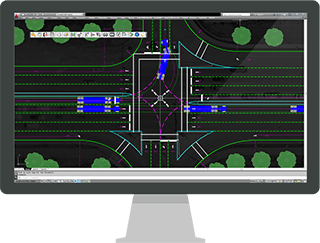 Discover how NEXUS provides engineering professionals all the required elements and analytic insights for a more streamlined approach to roadway intersection design. NEXUS is designed to help engineers quickly create and evaluate conceptual designs for road junctions.